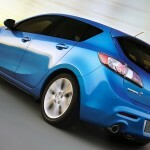 Japanese manufacturer today confirmed the date and place that will reveal new Mazda3 Hatchback: Dec. 3 at the Auto Salon in Bologna. 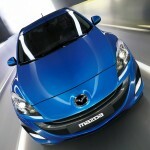 More than that, those of the Mazda launched five photos with the new generation of Japanese model. 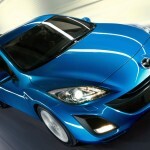 As can be seen in the pictures, Mazda3 Hatchback borrows a line from design version sedan that was launched last week at the Auto Salon in Los Angeles. Engines for a range of Mazda3 Hatchback model is composed of gasoline engines and 1.6 and 2.0 liter turbo diesel engines of 1.6 and 2.2 liters.